UCLH Cancer Collaborative has partnered with Amgen to map out and measure the most efficient out-of-hospital administration of denosumab, also known as XGEVA, a targeted therapy used for the treatment of secondary breast cancer in the bone. Quintiles IMS has provided technological expertise to the project. Outputs from one-to-one stakeholder interviews, workshops and patient surveys, have informed the development of a simulation modelling tool that allows multiple delivery pathways, whether in hospital, in primary care, in the community or at home, to be to be tested for financial and patient experience impact. An options appraisal document and user guide will accompany the model in a toolkit available to all NHS Trusts and clinical commissioning groups. 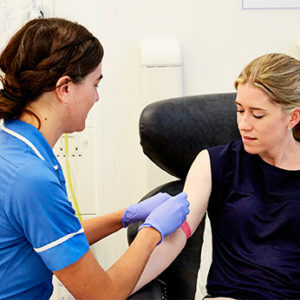 UCLH may further collaborate with Amgen to tailor a business case for a permanent out of hospital denosumab service within the Trust. The project toolkit is accessible to NHS staff with an NHS email address. Please register here to access the materials. For more information please contact Pinkie Chambers or Simon Evans.